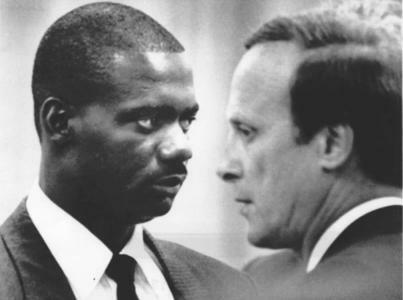 Former Olympic sprinter Ben Johnson is suing the estate of his late lawyer for $37 million. 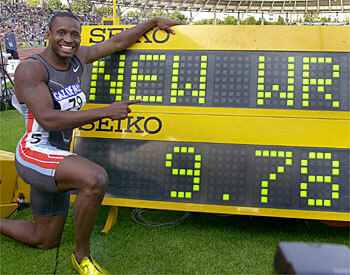 Johnson was a Canadian Olympic sprinter and formerly The World’s Fastest Man. 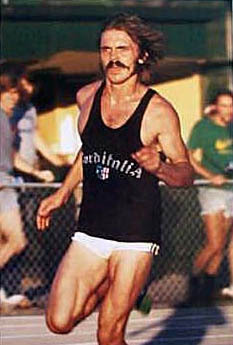 He was one of the first major athletes to be involved in a steroids scandal. 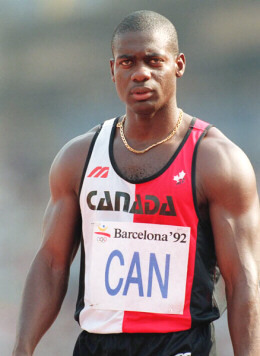 In 1988 Johnson was kicked out of the Olympics and stripped of all his medals and records. Johnson is actually the second athlete to play the “retard” card. 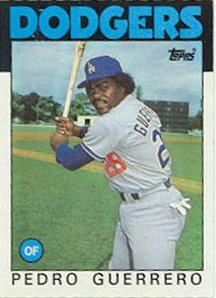 In 2000 former Los Angeles Dodgers star Pedro Guerrero was acquitted on drug charges after his lawyer convinced a Forida jury that he was too stupid to be a drug dealer. The attorney argued on record that Guerrero was a sixth grade dropout with an IQ of 70. The lawyer said since Guerrero was unable to perform simple tasks like being able to write a check or make a bed there was no way he could have dealt drugs. The jury bought it and found Guerrero innocent on all charges. 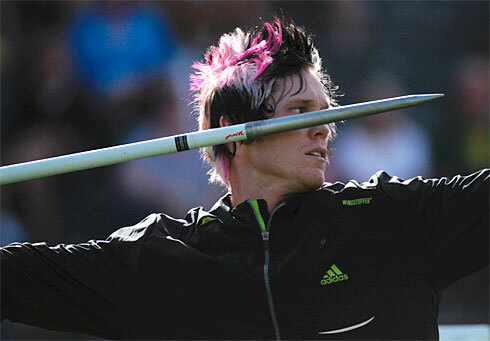 Javelin thrower Breaux Greer has made the Olympic track team after all. 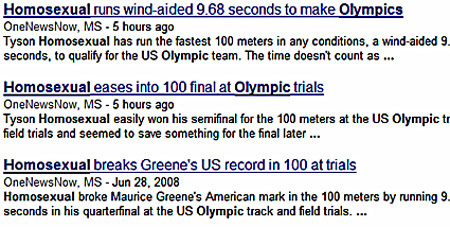 Greer had originally failed to qualify during the Olympic trials, but USA Track & Field added Greer as an injury replacement. If you look carefully at the above photo you’ll notice that Utah photographer Ryan McGeeney has a javelin sticking through his leg. McGeeney, a former Marine who served in Afghanistan, received the injury at a high school track meet. Luckily, the javelin missed all of McGeeney’s tendons, bones and arteries. The best part of the story is McGeeney still managed to get pictures of the javelin sticking through HIS OWN LEG. At the start of this decade track star Tim Montgomery had it all. He was the fastest man in the world, an Olympic gold medalist and dating one of the most famous women in the world, track star Marion Jones. Now Montgomery is facing a long prison term and was branded last night as a heroin dealer. 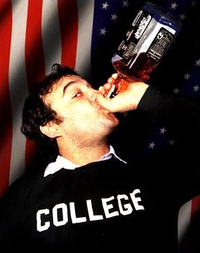 Montgomery was already facing prison for his role in a check cashing scheme. He was due to be sentenced this month for his role in stealing and cashing $1.7 million in counterfeit checks. Montgomery could get 46 months in prison for that charge. Now he faces MAJOR drug dealing charges after being arrested last night in Virginia. 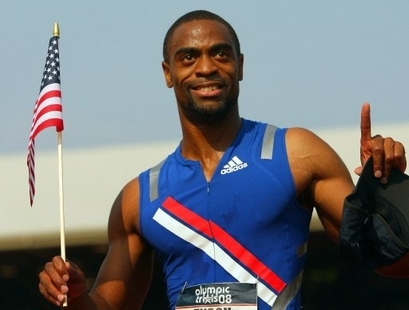 The 33-year-old sprinter is accused of dealing more than 100 grams of heroin in Virginia over the past year. Former track star, Marion Jones, reported to a federal prison in Fort Worth, Texas today to begin serving a six month sentence. She was convicted of lying to prosecutors in the Balco steroid case. 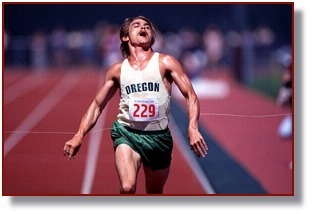 You are currently browsing the archives for the track and field category.